At India Cements’ factory at Sankar Nagar in Tirunelveli, one of the oldest in the country, nothing is ever so old that it needs to be junked. Instead, it’s just re-engineered for the future. Indicatively, says S Dakshinamoorthy, Joint General Manager, Production and Quality Assurance, the silos that once stored the raw mill slurry are today, with some small changes, being used to hold fly ash. That is just one instance of how one of the oldest cement units has evolved over time. The company was founded in 1946, and commercial production at the factory started in 1949 with a capacity of about 1 lakh tonnes a year. Located at Thalaiyuthu village, this was the first of eight cement plants and two grinding units that India Cements set up with a total capacity of nearly 16 million tonnes. In 1990, the plant was modernised with a capacity expansion that made it, at that time, the first million-tonne unit in South India. Today, it has a capacity of about 1.85 million tonnes a year. It has a workforce of about 250 workers and 110 staff and executives, apart from about 500 contract workers, including in the 48 MW power plant established in 2012, says Dakshinamoorthy. K Velu, 71, a former worker at the factory, recalls the day he joined in 1961 as a ‘sample boy’. He was recruited along with 300 others, and his job was to take a sample of raw materials hourly to the lab for testing. “When the factory came up, there were no facilities, only a railway station,” Velu recalls. With the factory came other facilities, and gradually people from elsewhere have moved in. The company set up schools and a polytechnic, he says. Murugan, 80, joined the company in 1956, when only one mill was operational. “I remember supervisors standing outside the factory gates, urging the local people to come in to work,” he says. Things have changed a lot since then. Now, there are college graduates and engineers working here. Siva Subbiah recalls that even in the mid–1970s, there were over 3,000 workers, who would all gather for morning prayers. It was a close-knit group, with managers and senior staff taking an active interest in the workers’ personal welfare. S Shanmugam, Senior Vice President (Manufacturing), says the factory trained its own personnel on the job. Till about 1982, mining was a purely manual operation, and so thousands were involved and there were plenty of jobs to be had. Today, with modern technology, the requirement is more for those with professional degrees, college graduates or diploma holders. Over 95 per cent of the non-managerial staff and over 80 per cent of the total employees at the factory are from the local areas. 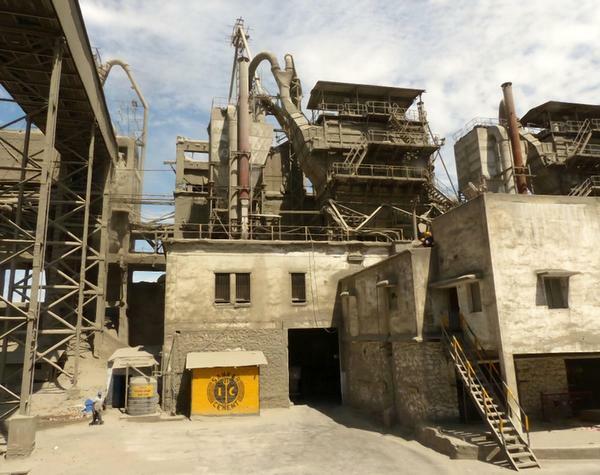 The Sankar Nagar plant was the ‘mother unit’ for India Cements; the staff who were trained here fanned out to other India Cements units elsewhere. In other words, the plant has, in a sense, become an assembly line churning out talent for group companies elsewhere.